Google, today announced the launch of Google Assistant in Hindi. Until now, Assistant is available in the English language, but starting today, users can interact in the Hindi language as well. Google says that the Assistant in Hindi will be available for Android devices running Marshmallow and above version, and soon it will be made available to Android 5.0 Lollipop and iPhones (running iOS 9.1 and above) as well. It’s also confirmed that it will be soon made available for Android Oreo (Go Edition) devices. As mentioned, the Google Assistant lets you have a conversation with Google to help you get things done with your voice, and now users can do that in Hindi. We have tested out some basic commands like ‘Alarm Set Karna’, and it worked absolutely fine. 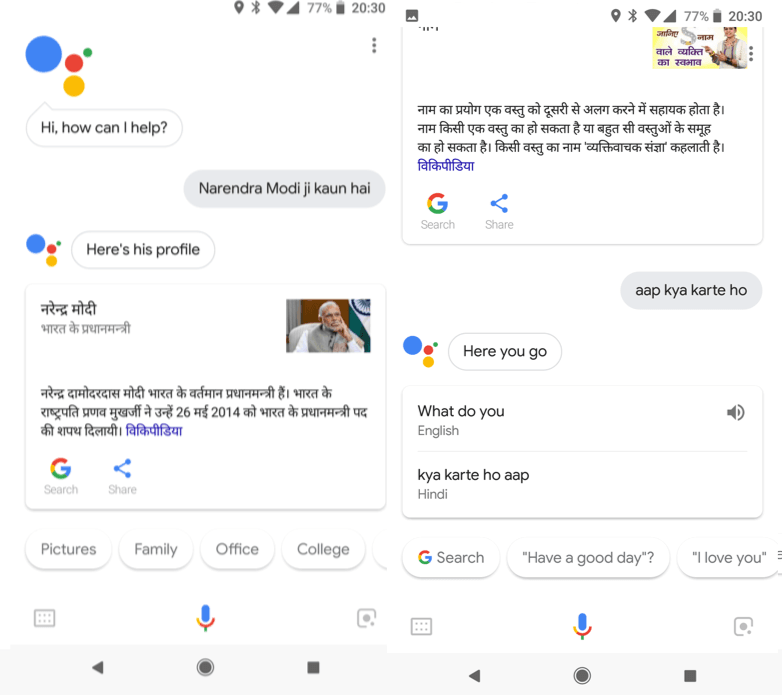 Google also states that users can also interact with Assistant in Hindi with complex commands. To try it out, just touch and hold the Home button or say “Ok Google” on eligible smartphones and the Google Assistant will start listening for you. Some commands like telling you about your day, to finding the fastest route to work, or just setting the alarm for the next day can now be done in Hindi. Furthermore, users can quickly send text messages, set reminders, or get directions with the Google Assistant in Hindi. To access the Hindi Google Assistant, set your device language to Hindi and update your Google Search app to the latest version. 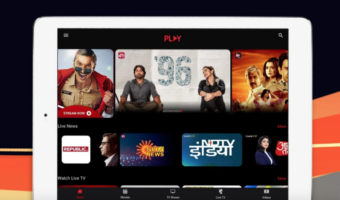 After updating the application, it will ask you to enrol the Ok Google voice commands, post doing that you can start interacting with Google Assistant in Hindi. 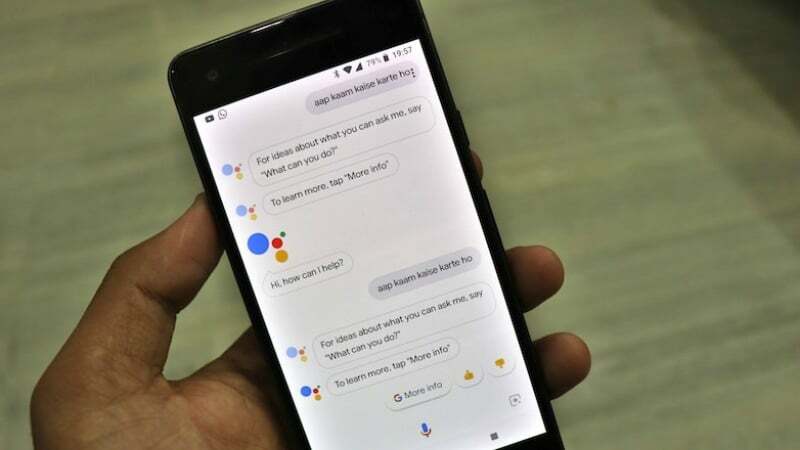 Google Assistant is powered by the search giant’s machine learning, and Google says that it has features such as natural language understanding, computer vision, and understanding user context. 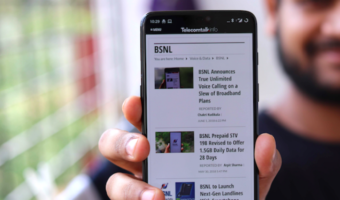 Over the last year, Google has launched the Assistant in Hindi in Allo, brought the English Assistant to more phones, and made a special version available for Reliance JioPhone feature phone. Now, more Indians can get help from their Hindi Assistant starting today. Google is currently working to bring 30 languages support to Assistant.